Our truly excellent selection of alpaca sires includes multiple champions, a son of Peruvian Bueno, a grandson of 4Peruvian Legacy, and a true black sire with micron count of 22.4 AFD at six years of age! We are breeding alpaca excellence one elite herdsire choice at a time. 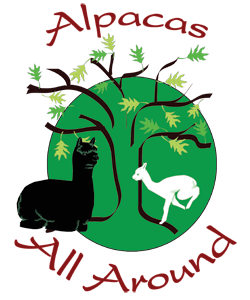 We breed full Peruvian alpacas with bloodlines from national alpaca icons including Peruvian Dracula, Peruvian Merino, Peruvian Black Ice, and Papeon who comes from the Hemingway line. Ask us about alpaca selection criteria and lineages. Crisdean the Explorer is a lovely brown 4-time Champion! Akupana is a direct son of Peruvian Bueno, one of the industry giants and one of the alpacas with most genetic influence on the U.S. herd. He is producing extremely fine-fleeced offspring. Be sure to take a look at our champion Black Jack, with generations of solid black while still extremely fine. ​We are proud to present this magnificent set of breeding males. We'd be delighted to help you in selecting one that meets your breeding goals. Please contact us for more information.